The Little Red Hen Big Red Barn by Ware Mfg. is designed for comfort and happy hen care. The full size pull pan slides out easily and makes cleaning and caring for the flock exceptionally easy. Full access doorways allow for quick egg collection. Room for 6 to 12 Hens (depending on breed). 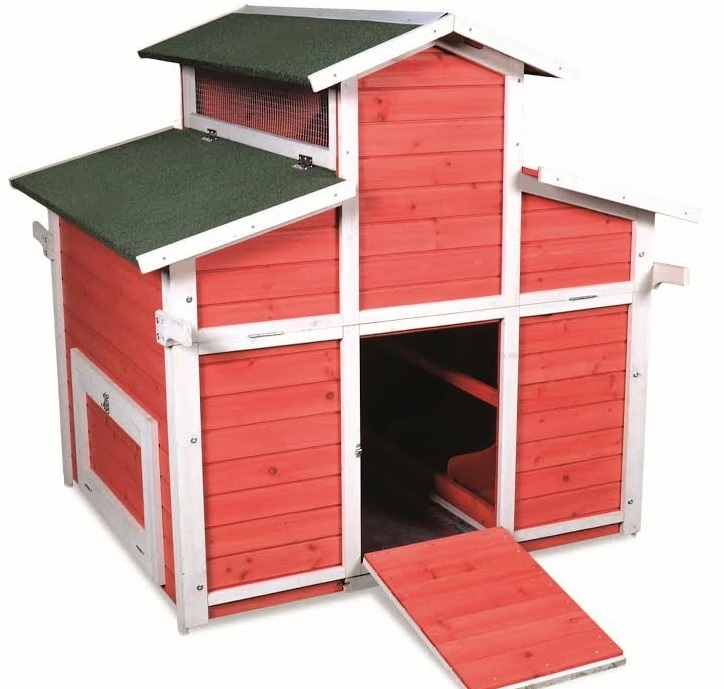 Assembly Instructions for Ware Pet Little Red Hen Big Red Barn model 14075 Click Here. PLEASE NOTE: This item ships as an OVERSIZE UPS AT A 120 POUND RATE SHIPPING CHARGES QUOTED AT CHECKOUT WILL NOT BE CORRECT we will contact you with shipping charges before processing your order.